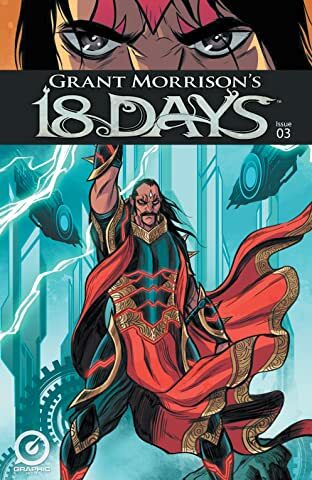 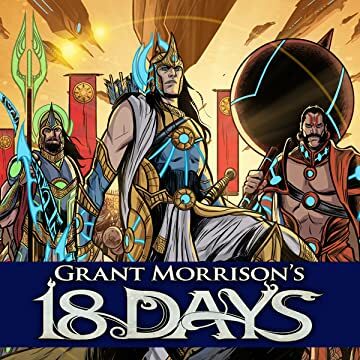 From superstar creator Grant Morrison (All-Star Superman, Batman & Robin, The Invisibles), comes 18 Days, the story of three generations of super-warriors, meeting for the final battle of their age. 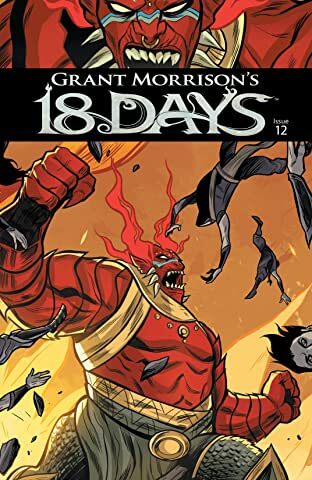 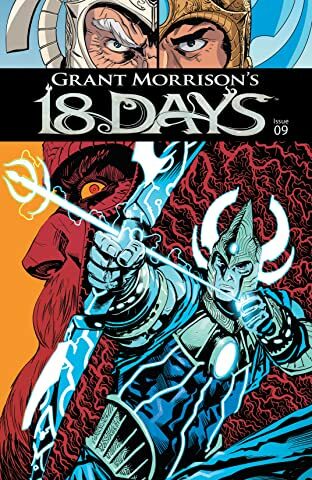 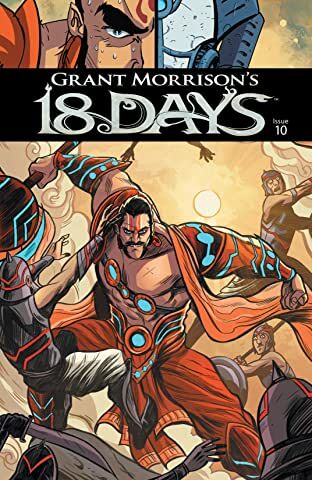 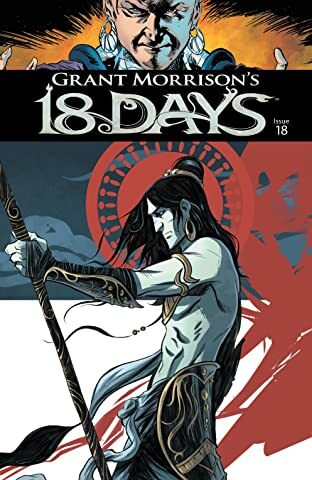 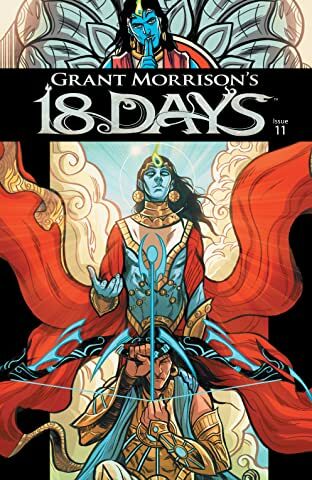 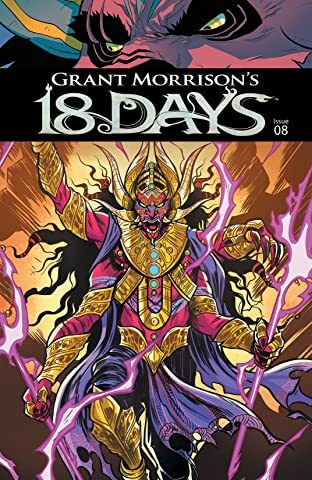 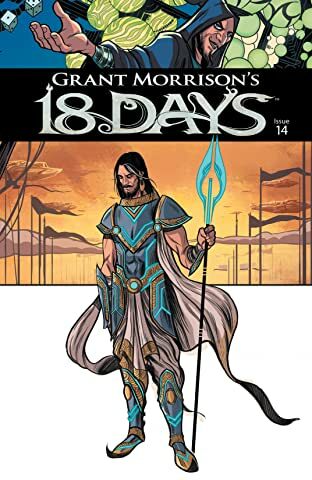 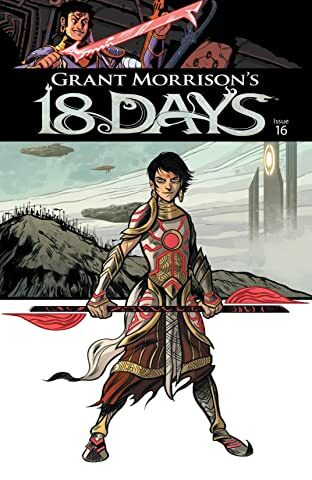 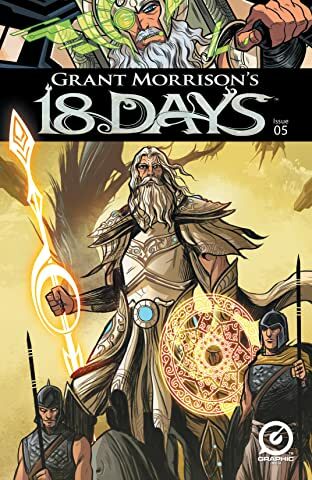 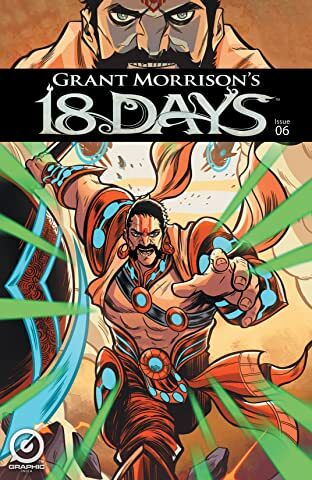 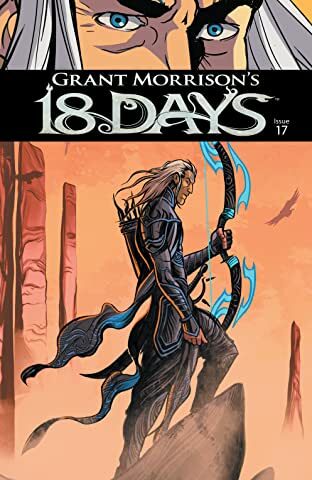 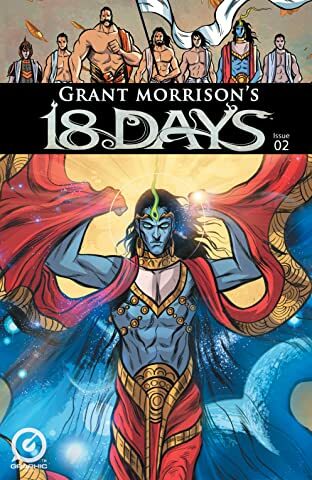 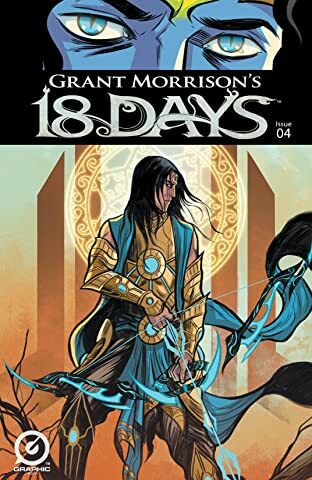 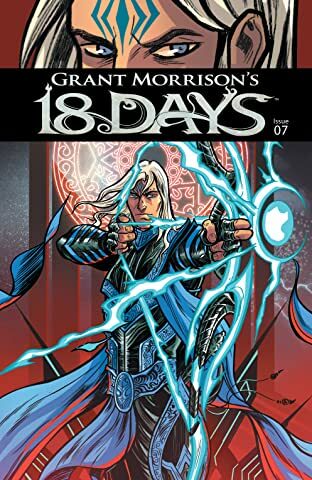 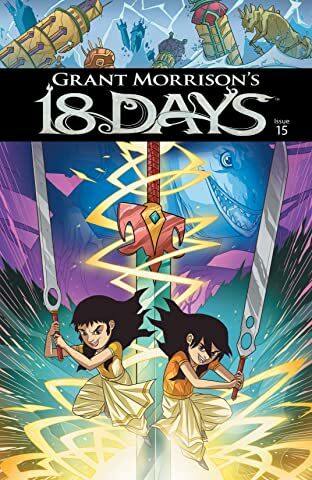 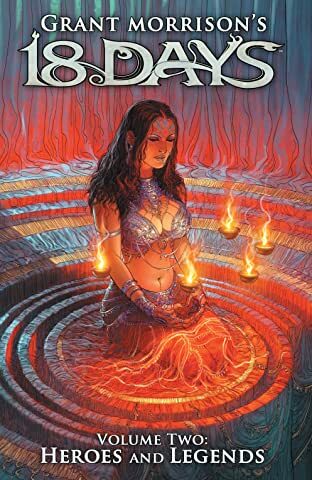 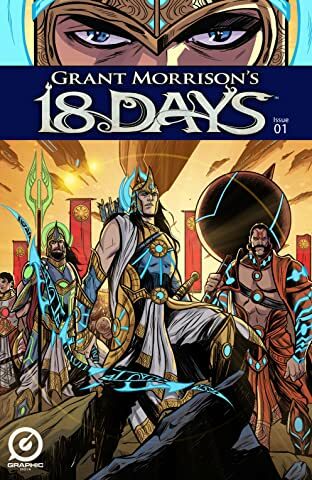 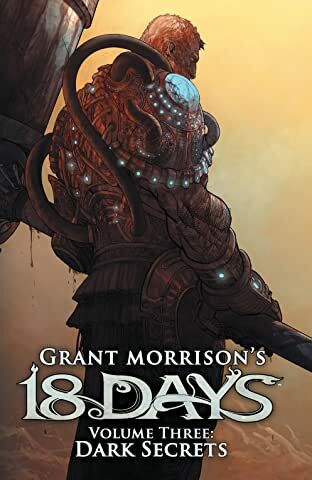 18 Days is a re-imagining of the great eastern myth, Mahabharata, and follows the course of the climactic war that concludes the age of the gods and begins the age of man. 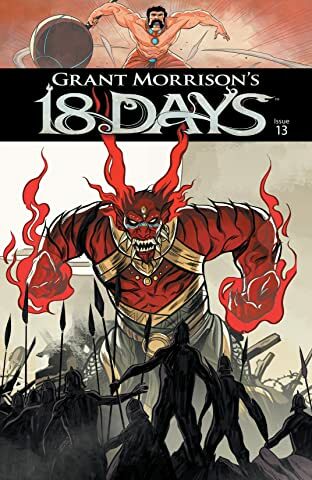 It is the prototype for every war ever fought. 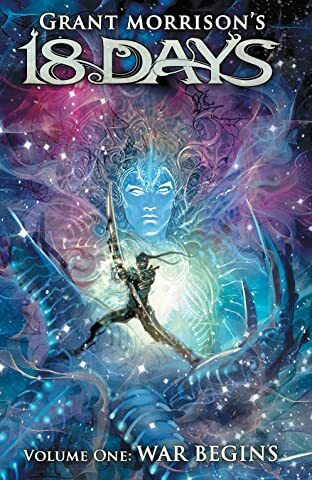 The scale is epic, wherein the biggest armies ever conceived face one another across the ultimate battlefield to decide the fate of the future.